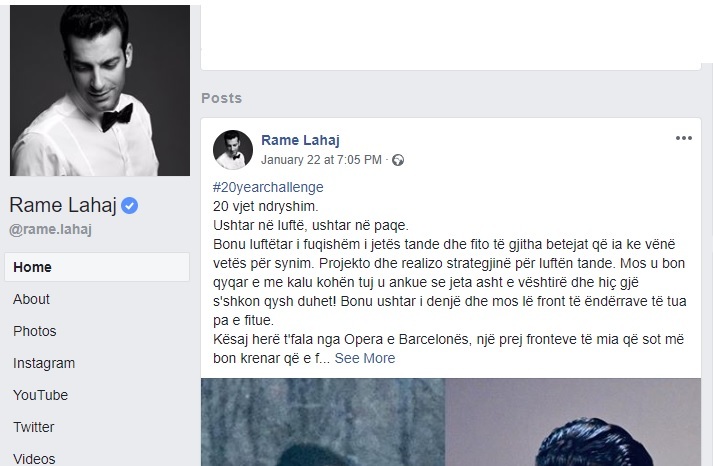 The world renowned Albanian tenor Ramë Lahaj was part of the Kosovo Liberation Army (KLA). 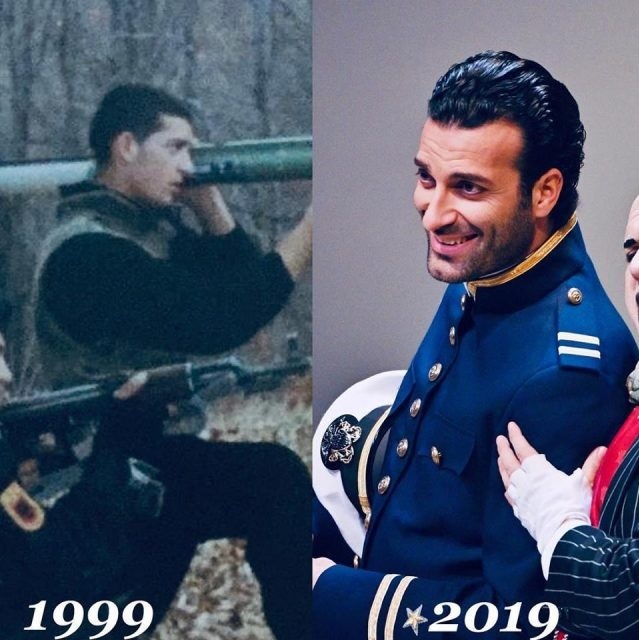 This fact is made public by him through a Facebook post on responding to the "20 years challenge" on social networks. Soldier in war, soldier in peace. Become a mighty warrior of your life and win all the battles you set to yourself. Project and implement the strategy for the war. Do not bother and not complaining because the life is tough and nothing goes as you wish! Become a worthy soldier and win all the wars of your dreams. This time greetings from the Opera of Barcelona, one of my battles that today makes me proud, as I earned it with honor. Photo taken during the war in Kosovo. 1999 and the other during peace in Barcelona. Year 2019.